A cancer diagnosis and need for treatment is difficult enough without the additional burden of losing health insurance due to a job lay-off or loss. When patients are faced with paying COBRA or securing another insurance policy in order to continue cancer treatment or paying rent and providing other necessities, stopping treatment is oftentimes the only choice. The Wichita Cancer Foundation aims to prevent this devastating dilemma by offering health insurance premium assistance for eligible participants. The Wichita Cancer Foundation was the dream of oncologist Dr. Shaker Dakhil. Having seen so many patients facing this situation throughout his 35+ years of practicing medicine, he was determined that something should be done. 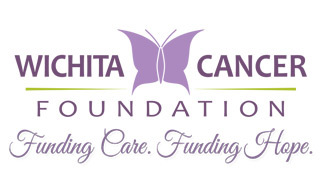 The Wichita Cancer Foundation is now a fully qualified 501(C)(3) organization with 12 directors on the Board representing a range of community professionals. Eligible patients, whose care is initiated or received in Sedgwick County, can apply through the website at www.wichitacancerfoundation.org. Applications are reviewed by an independent group of volunteers who make decisions on granting assistance based on many factors, including availability of funds. Certain factors are not considered or reviewed by the selection committee, including the insurance company, the drugs needed for treatment and provider chosen by the patient. If selected for assistance, the Wichita Cancer Foundation sends payment directly to the insurance company. A private launch party to introduce the Wichita Cancer Foundation is scheduled for Thursday, April 9, from 5:00 – 7:00 p.m. at Cross First Bank, 9451 E. 13th St. N., (southwest corner of 13th Street and Webb.) The website will be available for demonstrating, and comments by the Board Chairman, David Murfin, as well as one of the recipients of the assistance will be presented at 6:00 p.m.